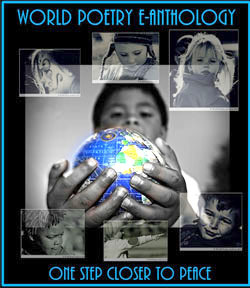 World Poetry Celebrates Rebecca Papucaru From Quebec! Ariadne’s Notes: A wonderful interview with the talented Rebecca Papucaru on October 12th at 1:35 PM, PST on the World Poetry Café, CFRO, 100.5 FM . 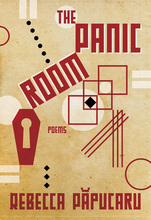 Featuring her new book, The Panic Room, by Nightwood Editions (Harbour Publishing, with thanks to Nathaniel Moore, publicist for his good work. She paints pictures with words and gives each reader something to relate to. Rebecca Papucaru Author of the new book, the Panic Room, Harbour Publishing. She is preoccupied with the complexities of identity and selfhood, memory, embodiment, loss, and family, Rebecca Papucaru carefully examines details that make up one’s lived experience. “Lobster Dinner” describes a happy childhood memory of eating an entire lobster with an admiring father as her audience. “Take It or Leave It” is the casual and quotidian, yet heartbreaking, failure of a daughter and her mother to find an emotional connection during an art gallery outing. “Your Women Are Beautiful” betrays the dreamy excitement of travelling in an unfamiliar place, juxtaposed with the blunt reality of arriving home again. Papucaru offers unabashed honesty: the sort of reflections you’d only tell your dearest friend. 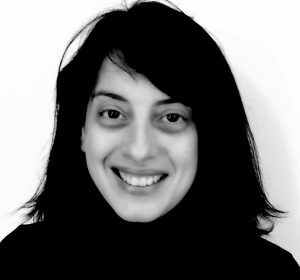 Rebecca Papucaru’s work has appeared in journals such as The Antigonish Review, PRISM international, The Malahat Review, The Dalhousie Review and Event. She has been anthologized in I Found it at the Movies: An Anthology of Film Poems (Guernica Editions, 2014) and Best Canadian Poetry in English (2010). She lives in Sherbrooke, QC. This entry was posted in General and tagged Author Sharon Rowe, CFRO 100.5 FM, Harbour Pubishing, International Peace Award Ariadne Sawyer, Nathaniel Moore, Rebecca Papucaru, Victor Schwartzman, World Poetry Cafe Radio Show on October 17, 2017 by Ariadne.